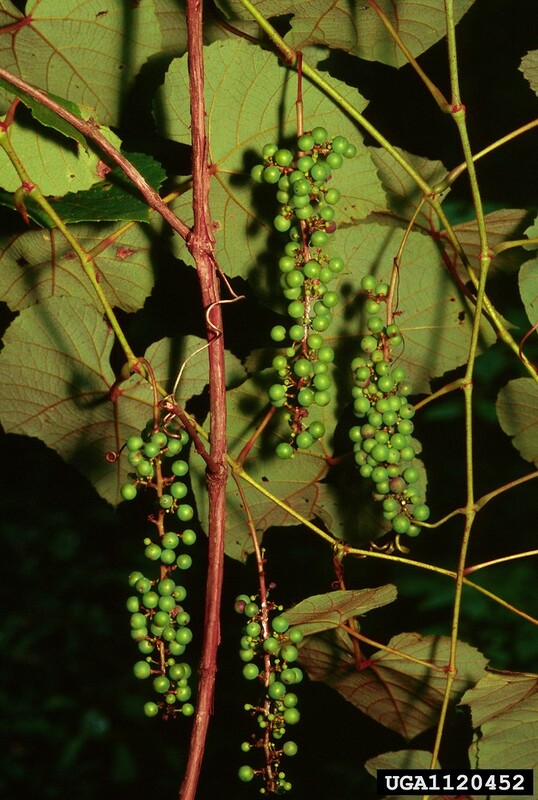 Vitis aestivalis is a high climbing woody vine, bark brown, shredding, new stem reddish-wooly; tendrils or flowers from only 2 successive nodes (missing every 3rd node). Leaves alternate, rusty or pale wooly on both sides when young, mature leaves wooly below and pale-waxy; hairs cobwebby, often covering entire lower surface, blade broadly egg to heart-shaped, 3-5 lobed above, broadly, shallowly lobed at base. Flowers tiny, green, fragrant, in elongate, unbranched clusters, insect pollinated; blooms May-June; inflorescence ca 10 cm. Vitis aestivalis (summer grape) Vitaceae. James H. Miller & Ted Bodner, Southern Weed Science Society, Bugwood.org Creative Commons licensed under a Creative Commons Attribution 3.0 license. (Accessed 4/2017). 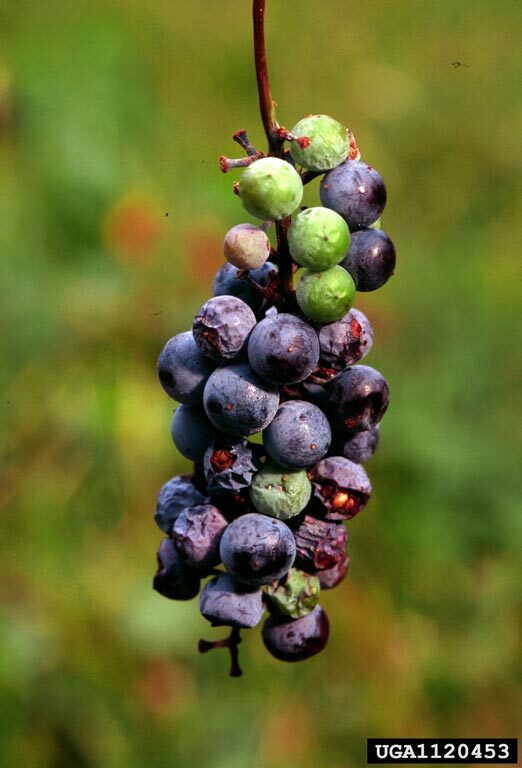 Fruit fleshy, dark purple, with bloom round, 0.5-1.2 cm wide (smaller than other native grapes); 4-seeded, seeds to 0.7 cm long, 0.5 cm wide, fruit persistent, pulp lipid <10% (White and Stiles 1992), fruit eaten and seeds dispersed by birds and mammals, including black bears, raccoons, coyotes, foxes, skunks and opossum (Wilson 1993; USDA, NRCS 2010). Habitat: Along edges of woodlands, stream corridors, roadsides, soil pH 5.3-7. Tolerant of drought, shade; intolerant of fire, salt (USDA, NRCS 2010). Notes: Ancestral to Concord grape.